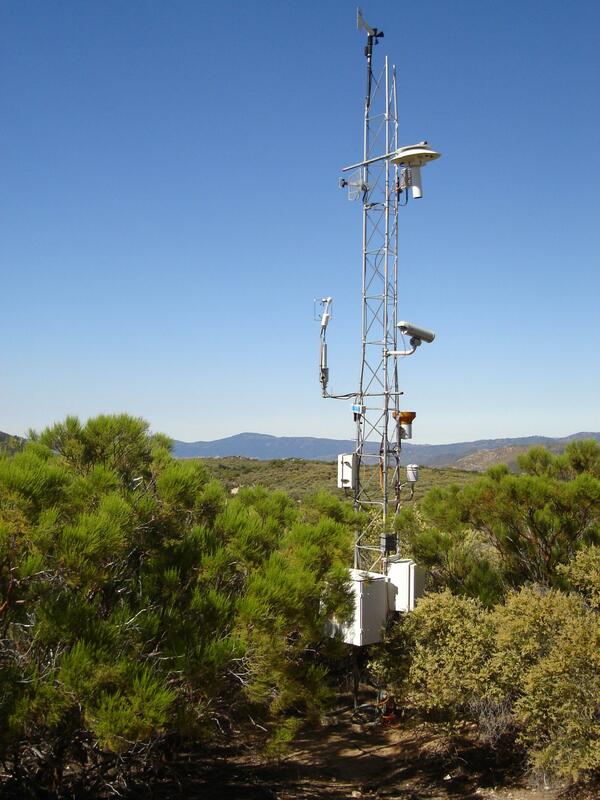 CalState LA is conducting research at SDSU's Sky Oaks Biological Field Station to understand the controls of the key ecosystem processes under different disturbance regimes. HPWREN provided wireless high-speed data connectivity to the Incident Command Post for the Border 50 fire, and earlier for the Volcan Fire. 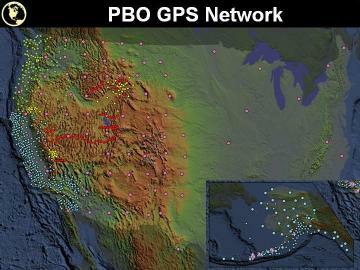 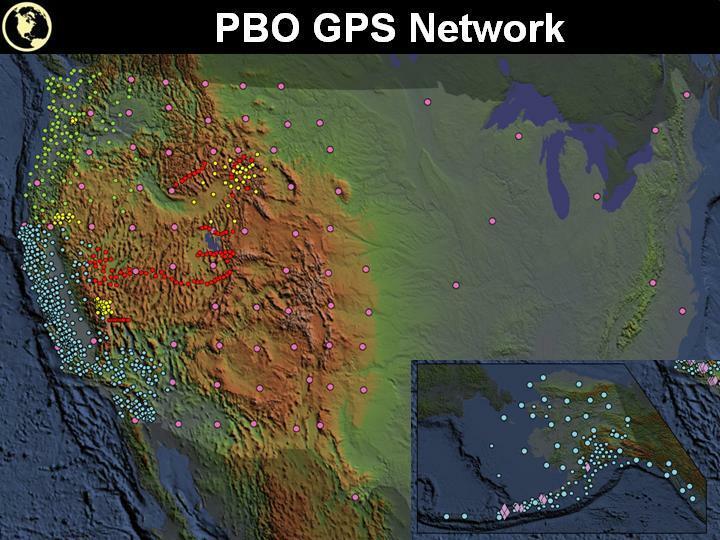 The NASA Satellite Laser Ranging (SLR) Program has recently become a collaborator of the High Performance Wireless Research and Education Network. 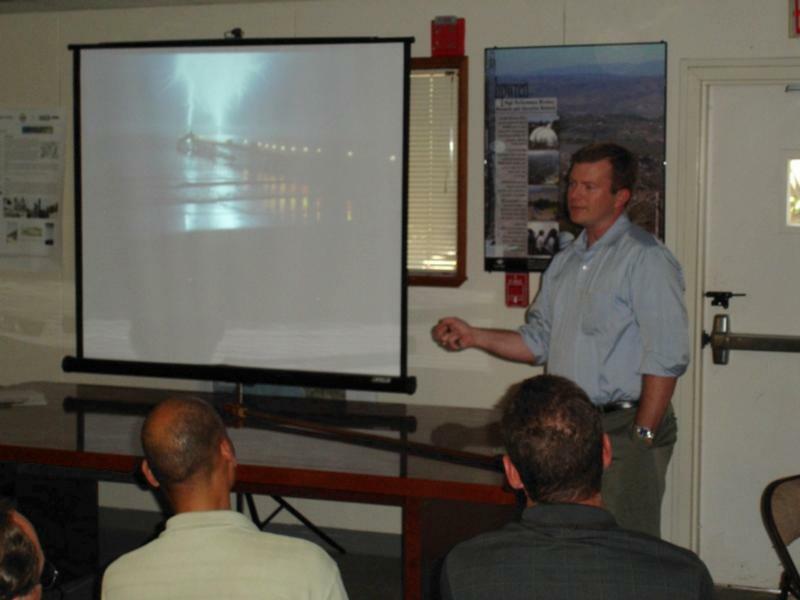 On September 22, 2005, the 2005 HPWREN Annual Users Workshop was held at the San Diego State University's Santa Margarita Ecological Reserve, which is part of the SDSU Field Station Programs. 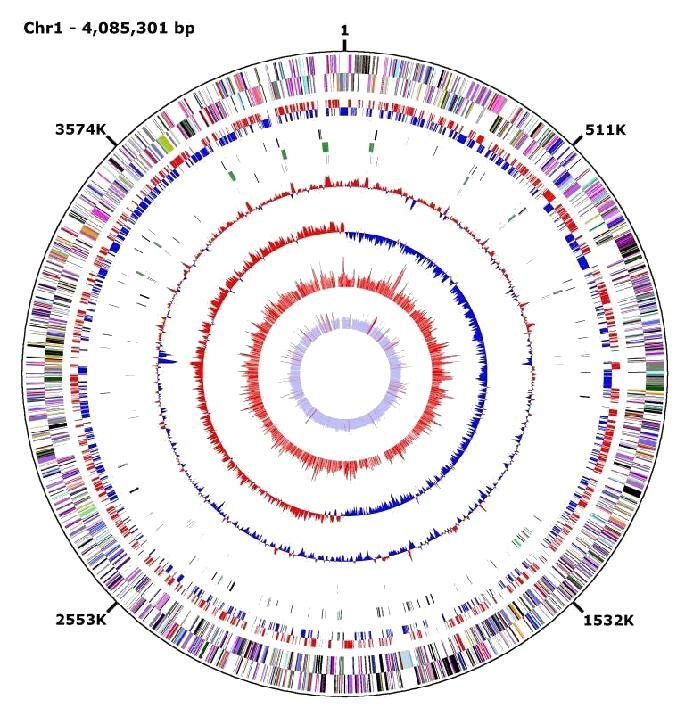 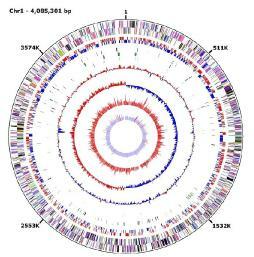 Marine microbiologists at Scripps Institution of Oceanography and genome analysts at the University of Padua, Italy have announced the elucidation of the complete genome sequence of a remarkable microorganism that thrives at 4,000 pounds per square inch in the deep sea. 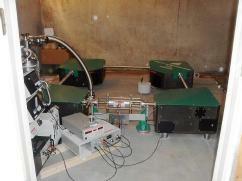 The results were published this year in the journal Science. 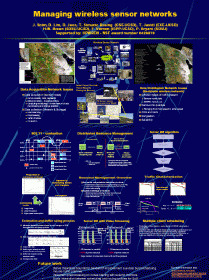 In support of managing resources in heterogeneous wireless sensor networks, HPWREN has teamed up with the UCSD Computer Science and Engineering (CSE) and Electrical and Computer Engineering (ECE) departments to create a joint research activity. 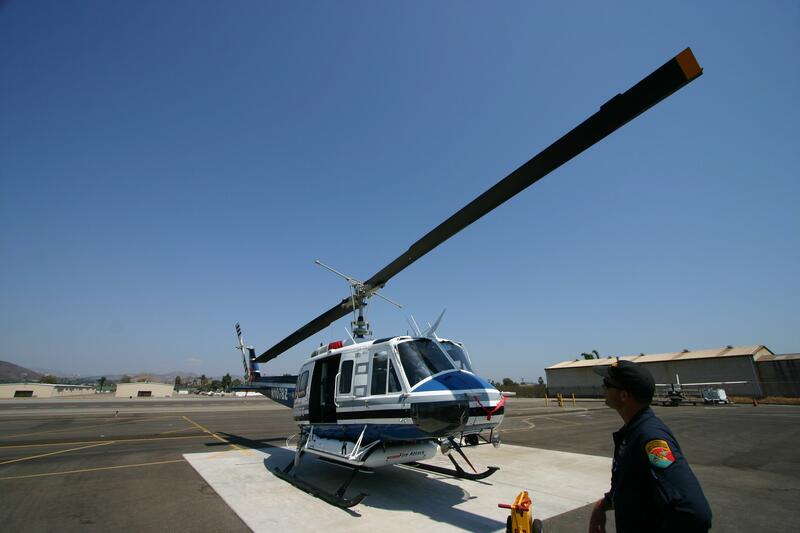 A recent HPWREN connection was established to provide high speed data connectivity in support of firefighting activities of the California Department of Forestry and Fire Protection at the eight helicopter Gillespie Field Helitack Base in El Cajon. 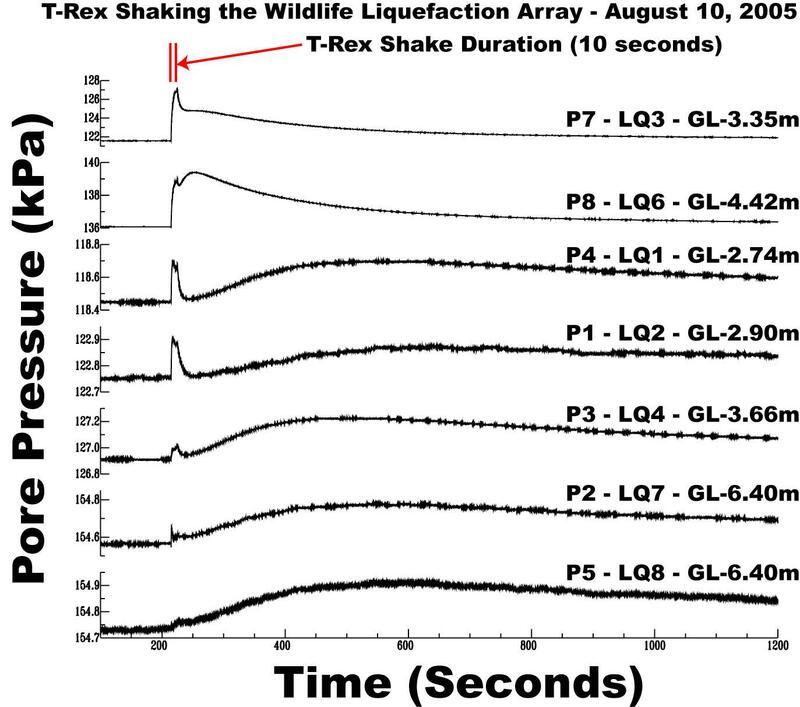 Extreme ground shaking during earthquakes can dramatically decrease the stability of saturated soils to the point where the soil becomes a viscous fluid. 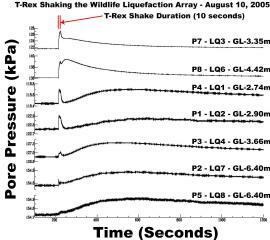 This behavior, called liquefaction, can cause severe damage to buildings and other structures as their foundations can slide or unevenly settle. Astronomers at Caltech have announced the discovery of a tenth planet in our solar system, utilizing the HPWREN connection to transfer the image data. 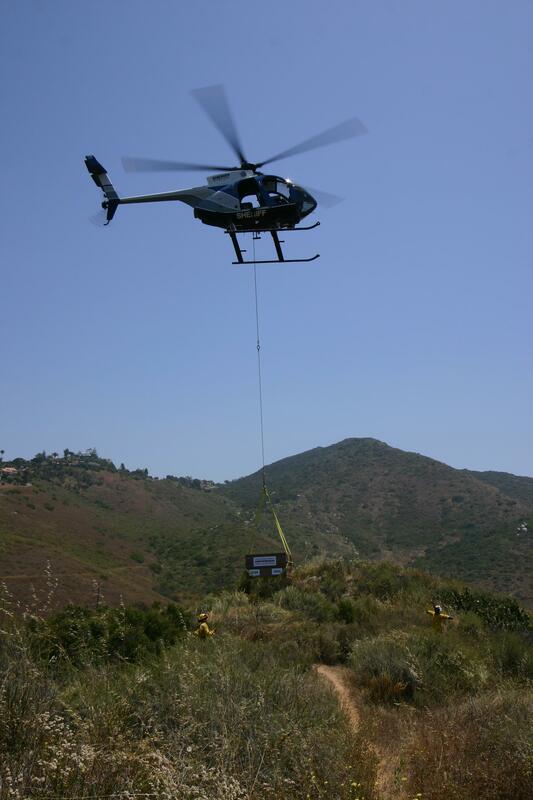 HPWREN's current main fuel sensor for real-time alerts is at an HPWREN backbone site at Lyons Peak in San Diego County and needed its annual replacement. 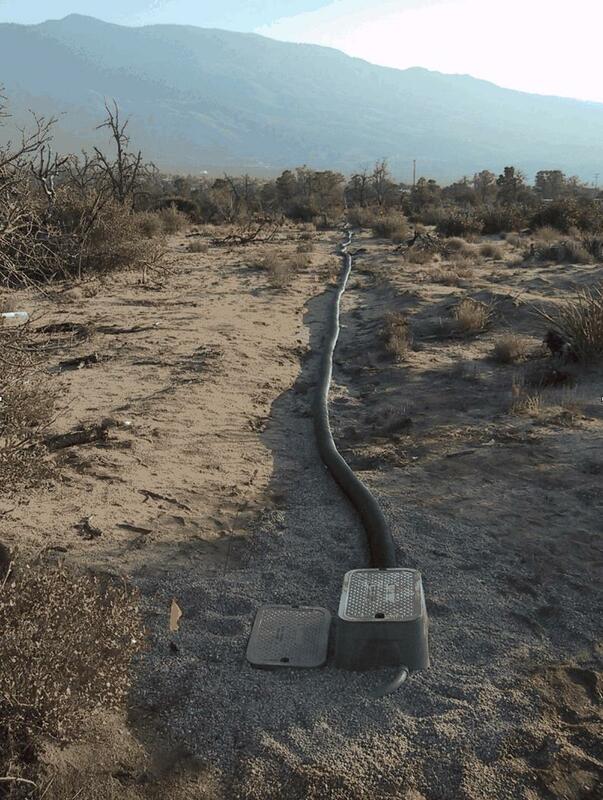 A new Plate Boundary Observatory measurement station at Sky Oaks will play a key role in assessing the interseismic and coseismic displacements along the San Jacinto fault zone and will further help in unravelling the tectonic puzzle of the western US. 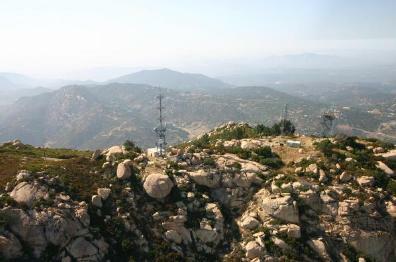 The Sky Oaks Field Station has been the main SDSU site for chaparral ecosystem research since 1982. 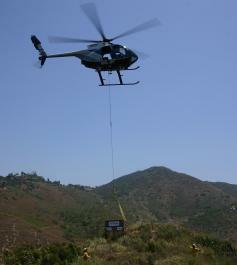 The addition of HPWREN to the field station will allow continued and improved dispersal of these unique data sets. The recent NSF ITR award for HPWREN includes a component for a renewed distance education activity between Native Americans and HPWREN. 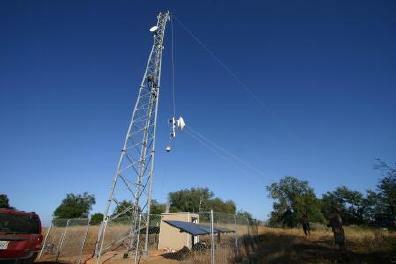 The Tribal Digital Village Network offered its solar-powered Mesa Grande 80-foot tower site as a relay site for this. 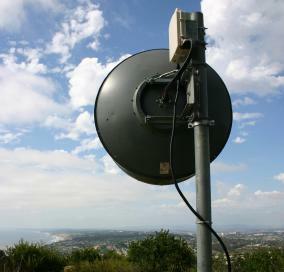 As part of an upgrade plan to move near-coastal paths to licensed spectrum, HPWREN upgraded the link between the San Diego Supercomputer Center and the Mt. 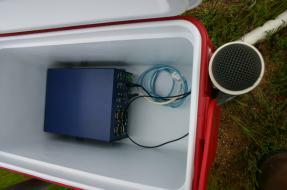 Soledad backbone site from 5.8GHz radios to 11GHz. 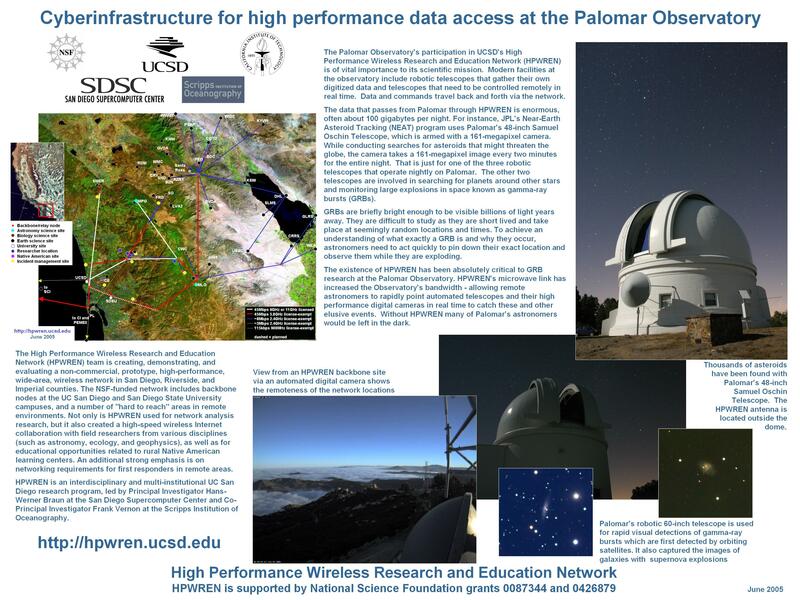 On Saturday, June 25, 2005, the Palomar Observatory will have an Open House from 9AM to 4PM, which will also display an HPWREN poster. The Open House will feature talks on Palomar research by noted astronomers from the California Institute of Technology and the Jet Propulsion Laboratory, various tours, and other things. 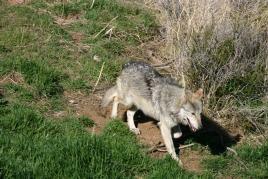 The recent addition of an audio sensor system will allow wolf pack vocalizations to be monitored, recorded, and used for educational and research purposes. 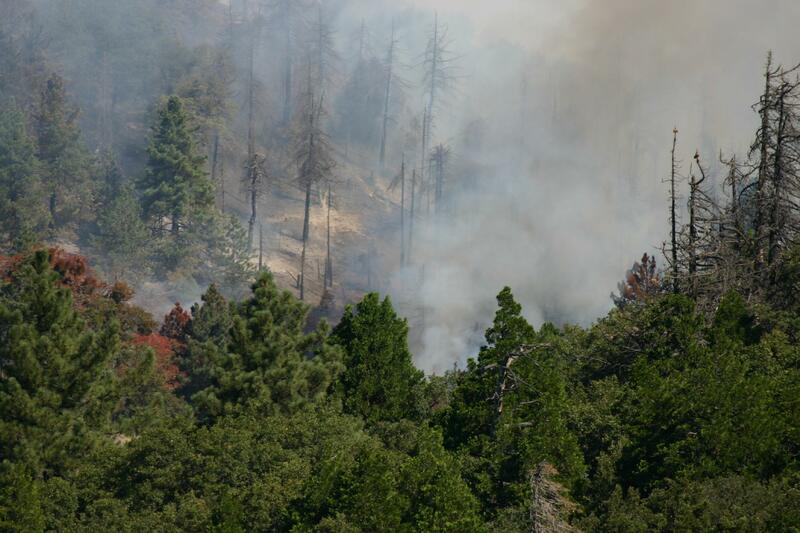 With the summer fire season fast approaching, multiple agencies recently teamed for a Wildland Readiness Exercise at Lake Hodges. The primary objective of the HPWREN participation was to practice a helicopter-based deployment of an ad-hoc data communications relay site. 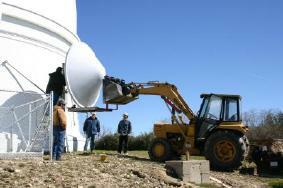 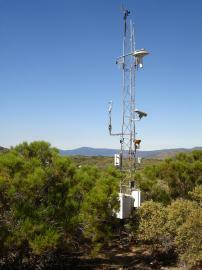 Various wind sensors were tried at the Mount Laguna HPWREN backbone site. Strong wind gusts and ice buildup required an iteration on types of survivable anemometers. Originally instigated more than a year ago by the desire to capture wolf howls at the California Wolf Center, it became desirable to add an automated acoustics capability to HPWREN sensors. To increase the reliability and predictability of the link to the Palomar Observatory, the California Institute of Technology provided equipment funding and staff support to upgrade the 5.8GHz 45Mbps full-duplex HPWREN link to FCC-licensed 6GHz band radios. 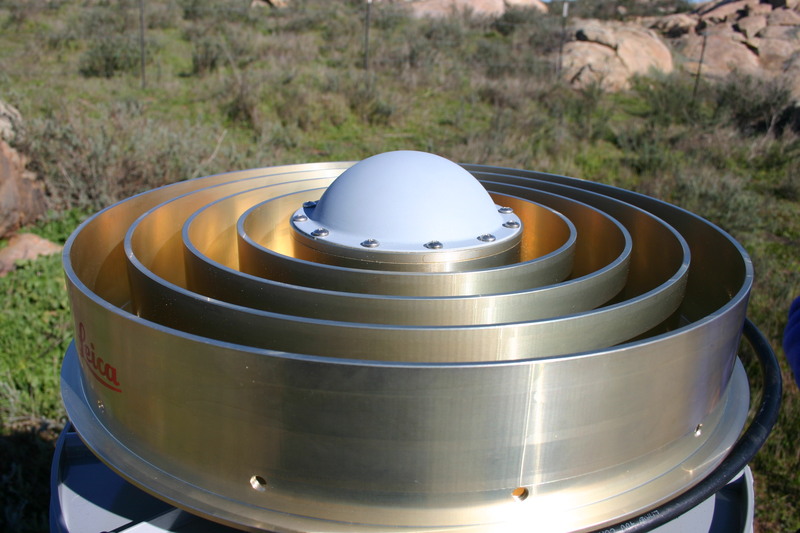 An Optical Fiber Infrasound Sensor (OFIS), is a revolutionary new instrument to record atmospheric acoustic waves at frequencies below that which a human can hear. 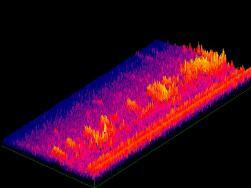 It functions as a directional microphone tuned to listen to the whispers in the atmosphere. 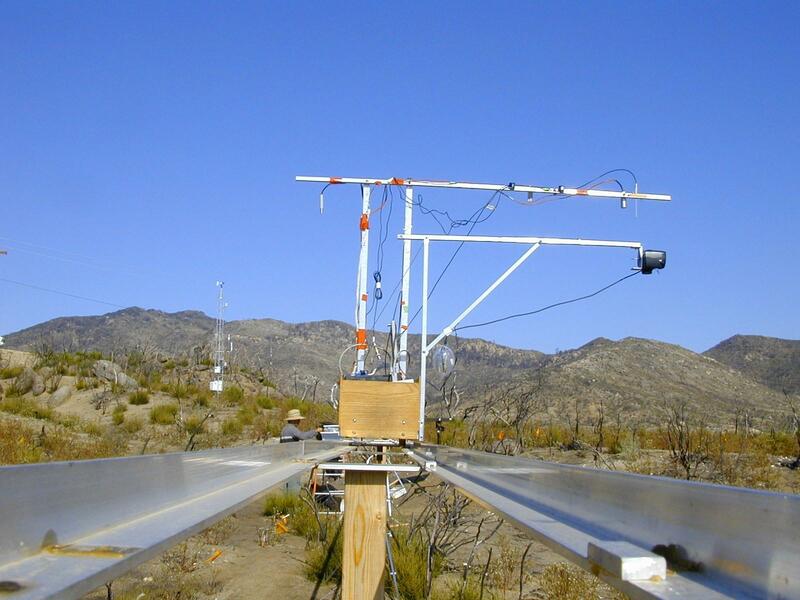 Recording these whispers, this instrument will facilitate the investigation and monitoring of a wide variety of phenomena including meteors, thunderstorms, atmospheric turbulence, volcanic processes, earthquakes, surf conditions, and certain human activities. The recent rains in San Diego County were an opportunity to observe interesting cloud and fog formations. 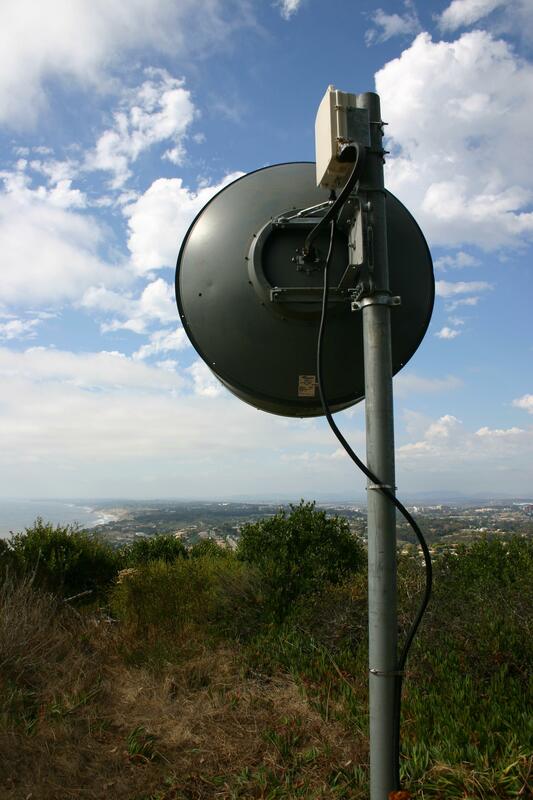 The HPWREN communications backbone is being utilized to develop the San Diego County Real Time GPS Network (SDCRTN), a collaboration of UCSD/SIO and San Diego County's Department of Public Works and Sheriff's Department. The microphone is one of the few sensors that can quantify species specific occurrence in the ecosystem. 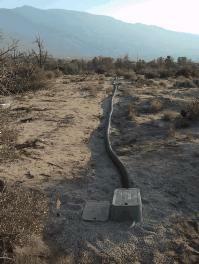 The goal is to establish long-term acoustic monitoring sites in unique ecological landscapes to characterize its acoustic signature. 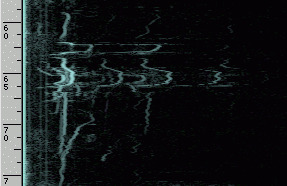 This research is testing the idea that the soundscape is a valuable ecological attribute and that long term acoustic monitoring can provide important information about ecosystem dynamics. 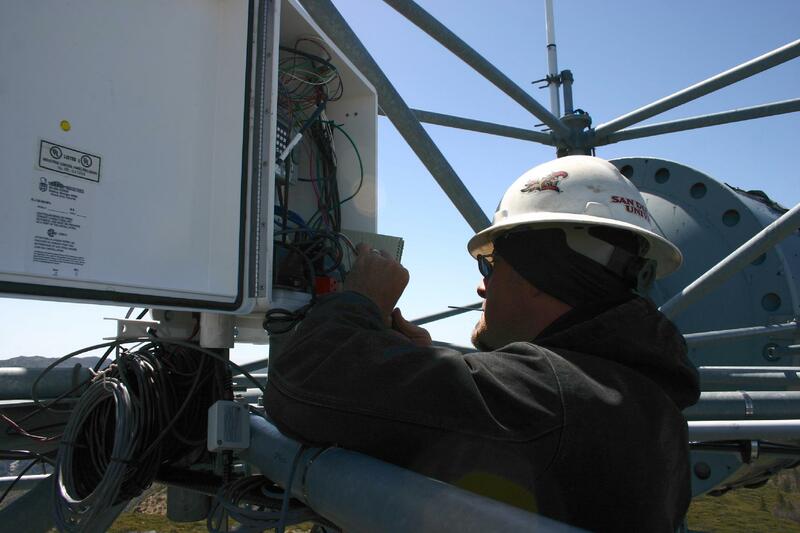 Over the last year the collaboration between the California Wolf Center and HPWREN was extending the wireless connection via fiber-based networking throughout major parts of the Wolf Center. 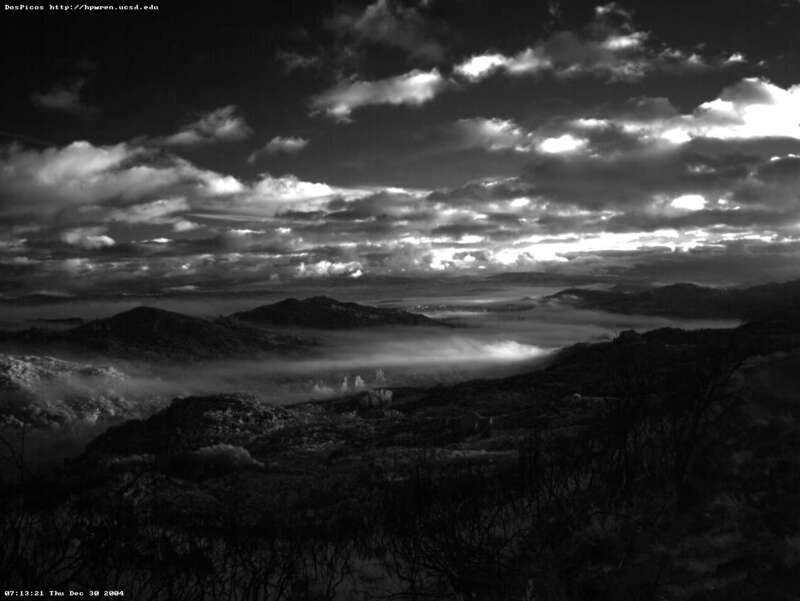 This will eventually lead to additional instrumentation, including cameras, and extend into the areas where the Center supports endangered Mexican Wolves. 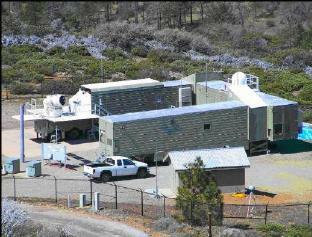 A newly developed high precision ring laser developed was recently deployed at Pinyon Flat Observatory (PFO) in southern California. This new sensor has a high sensitivity towards measuring the Earth's rotation.